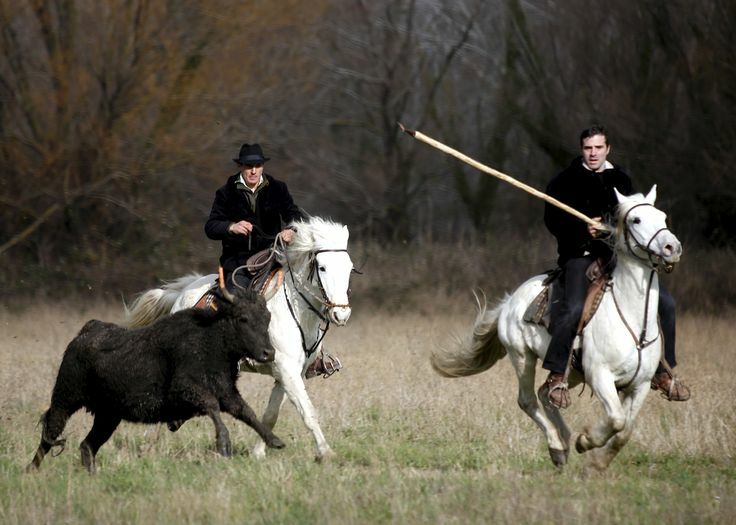 The Camargue is a region in Southern France on the Mediterranean coast famous for the huge Camargue river delta, for it's raising of black bulls, it's white Camargue horses and the cowboys who ride them And more recently it's knife making as well. The Camarguais Knife knife company or Coutellerie Le Camarguais as it is know was founded in 1993 as a family business making wonderfully handmade knives that have quickly become very sought after among knife collectors worldwide. 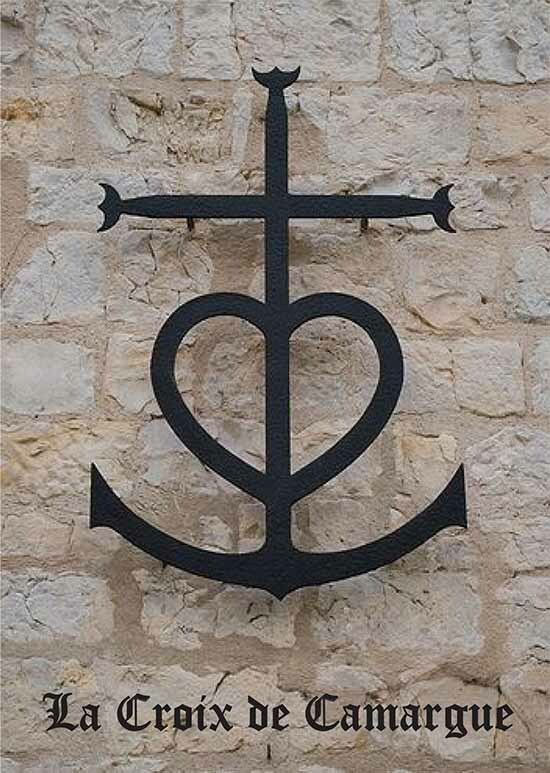 Featured prominently on its bolsters is the Camargue cross and on its spring back.the trident. 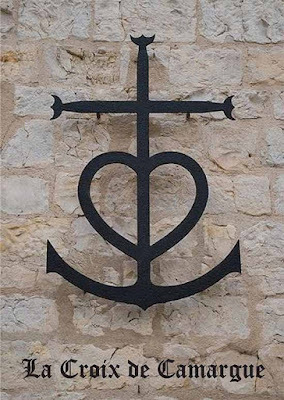 Cross of tridents for F A I T H, Anchor for H O P E, and Heart for L O V E.
In addition to the 'Trident' on the back lock (this is not a spring knife, but a locking spring), also features beautifully accomplished file work or chiseled work 'Guillochiert' here and along the back of the blade as well and even along the edges of the liners. All this work being done by hand meaning no two knives are exactly alike. The handle scales of my knife are made from Olive wood, which I really love for its durability and beautiful wood grain pattern. My knife is the model No. 12 - the blade is made from 12C27, a high-quality stainless steel from Sweden, which is often used by traditional knifemakers for its toughness, edge holding, and easy sharpening ability. The overall knife length is 22cm and the blade length is 10.5cm. There is also a model No. 10 available with the identical design but with a smaller overall length of 19.5cm and with a blade length of 9cm. Both models are available with a number of blade option including a less decorated standard model and blades with various Damascus steel patterning and of course with a myriad of different handle material options including various woods, horn materials, antler and Mammoth Ivory. I have been very happy with the quality and overall performance of my Olive handled Camarguais Knife. Although, if I were to purchase this knife again, I think I would go for the model No. 10, for its more compact, easier to pocket size. I've made a pocket sheath for my knife form our 'Dirty Denim' African Goat leather from the Dangerous9straps Safari Leather Collection featuring Classic Tan Eel skin lining and hand saddle stitched using ecru French milled linen thread, which I think looks great with this olive wood of this knife.